Royal Ascot is where everyone that is involved in Flat racing wants to be represented. With this in mind, a trainer with just 25 horses in his care couldn’t reasonably expect to have a runner at the meeting, never mind a winner, but Dave Marnane is no ordinary 25-horse trainer. 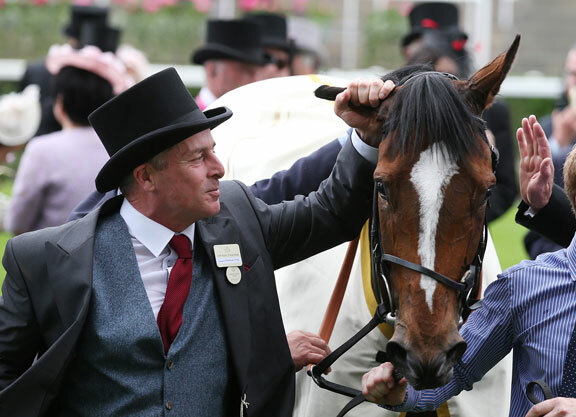 Indeed, for those that have paid attention to the career of the Tipperary-based handler, it will have been no surprise to see him in the winner’s enclosure at Royal Ascot last week. In the last decade Marnane has built up a remarkable record in some of the most competitive handicaps on the British racing calendar. He has saddled two different horses to win the Portland H. at Doncaster, as well as a winner of the Victoria Cup at Ascot and the Wokingham at Royal Ascot. To emphasise just how difficult those races are to win, no other Irish-based trainer has won the Portland or the Victoria Cup in the last 50 years and his win in the Wokingham was the first Irish-trained winner of that race for 27 years. Marnane has also proven adept at sending horses to the Dubai Carnival with great success, having saddled a winner there each year from 2011 to 2014 and having had multiple placed horses either side of those victories. Last Wednesday, Marnane added to his CV by becoming just the second Irish-based trainer in the last 50 years to saddle the winner of the Royal Hunt Cup at Royal Ascot thanks to the extraordinarily easy victory of Settle For Bay (Fr) (Rio de la Plata). In common with Marnane’s other winners of valuable British handicaps, planning was key to this success. It represented the realisation of a plot that had its origins over a year earlier, but had met with a very serious setback along the way. Having bounced back from his serious pelvis injury, Settle For Bay improved from race to race and soon embarked on what would prove to be a four-race winning streak at Dundalk during the winter months. Each win was more impressive than the one that preceded it, with his fourth win being the one that led Marnane to hatch a plan. Everything had gone smoothly for Settle For Bay in his preparation for the Royal Hunt Cup up to the week before the race, but there was one very significant scare left for him to overcome. When encountering the likes of Royal Ascot for the first time, young horses tend to shrink, boil over or grow. In Settle For Bay’s case it was very much the latter. One can imagine that watching the vessel of one’s hopes and dreams in a cavalry charge such as the Royal Hunt Cup would be likely to make for torrid viewing, but such was the ease with which Settle For Bay travelled, Marnane hardly had a moment of doubt. Emotions ran high after the race with Marnane and numerous members of his team shedding tears. While winning on that stage is also likely to be emotional, there was more to that emotion than meets the eye. While the Settle For Bay story promises to run for quite some time yet, Marnane’s attentions will soon turn to finding his next star at the yearling sales. With Marnane having bought the likes of Settle For Bay (€35,000 in conjunction with Peter Doyle), Dandy Boy (20,000gns), Jamesie (£11,000) and Elleval (£45,000), his eye for a bargain speaks for itself. With the racing world having been given a timely reminder of Marnane’s talents on the grandest of stages, it seems likely that those empty stables will not remain unoccupied for long.